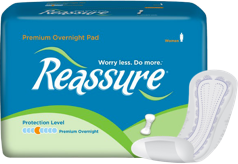 The Reassure® Flex-Shape styles conform to your body's movements for comfortable protection all day and the Skin-Soft Lining quickly wicks away wetness and keeps you feeling drier. Select larger quantities from the drop down for instant savings - no coupon code needed! Buy More, Save More! For our best per-piece pricing, select case quantities from the package drop down. The larger the case quantity, the greater the savings per piece. No coupon code needed! Save $8 now and 5% off every future order when you schedule your delivery! Please login or create an account to take advantage of our Personalized Delivery Plan feature! 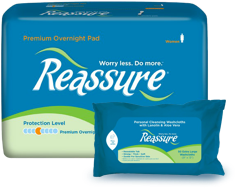 The Reassure® Flex-Shape™ styles conform to your body’s movements for comfortable protection all day and the Skin-Soft™ Lining quickly wicks away wetness and keeps you feeling drier. The Flex-Shape design keeps the pad security in place while conforming to your body’s movements throughout the day. 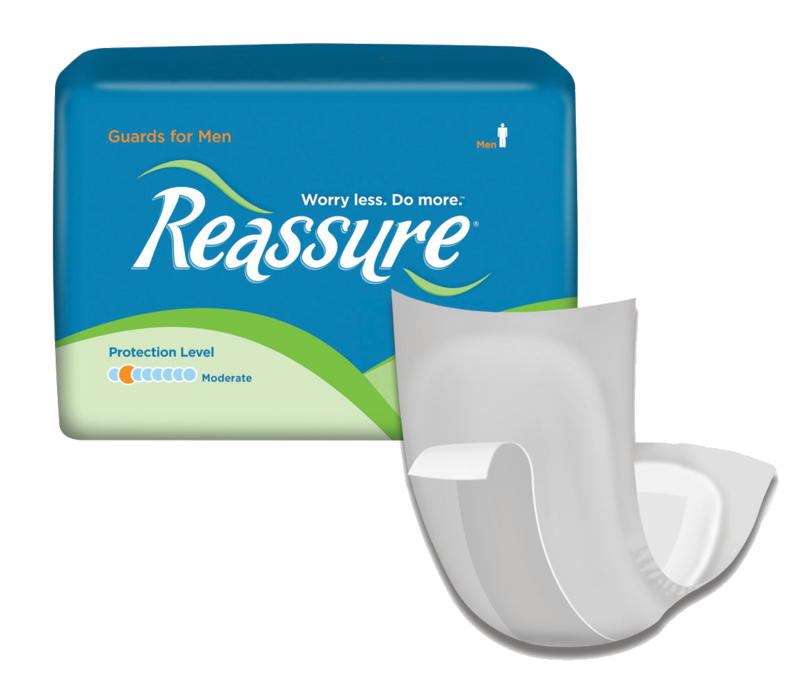 Leakage-Guard elastic cuffs create a gentle cup-like shape for exception leakage protection and comfort. 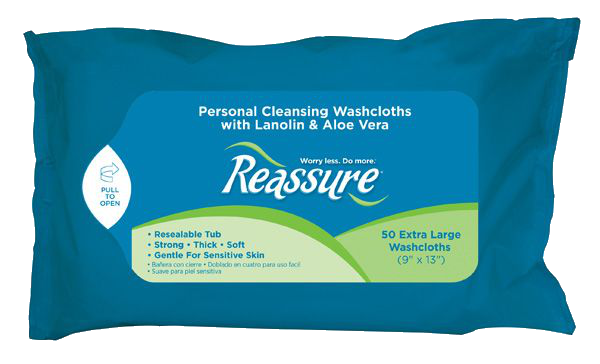 Keeps your skin feeling fresh and dry as the quilted Soft-Skin linking quickly channels away wetness, while Gel-Dry polymer locks it away preventing leaks and odor. Individually wrapped for discretion and convenience.